For about six years now, I’ve been working in a cross-cultural environment. Our teams are split across offices in India and the US, with the majority of our development efforts based out of India. In this unique situation, I’ve had the opportunity to work with teams across different locations and time zones. These differences no longer come in the way of teamwork and collaboration. In fact, they ​help us evolve and adapt our own business apps to make this combination work – no matter where you are and what time zone you’re working in, you’re always connected and in sync with other people. What could get in the way though, are cultural differences. It’s usually good practice to mix people from different cultures. Everyone brings in their own cultural perspective to the table, and people get to learn from each other. But it’s tricky for people from different cultures to work together, especially when they’re not all working at the same time, under the same roof. 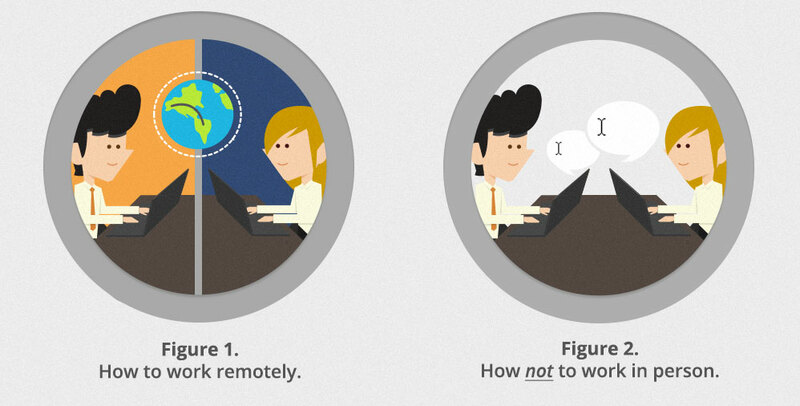 When working remotely, it’s important to fill in the blanks by going and meeting the people with whom you work. Meeting them can help you build rapport and gain a better understanding of another culture. By just being there in person, you get to observe subtle non-verbal cues and mannerisms that you would otherwise not see. And if you observe this behavior long enough, you might start recognizing the meaning based on other accompanying cues. So meet your remote co-workers, get to know them and their culture by doing some regular stuff together – go out for a meal and try the local food, go shopping, watch sports or catch a movie. When you’ve spent enough in-person time, you’ll find that it’s easier to go back and work remotely over a chat window, emails or a project portal. 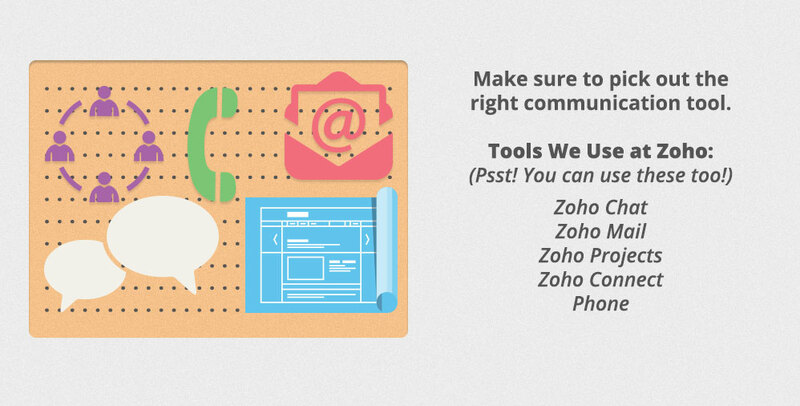 Pick the right communication tool. There are many tools available for us to communicate. But it’s important to pick the right tool for each message. ​If you’ve never met a co-worker or spoken to them, always speak over the phone or chat first, before sending them a formal one-way email. If the message involves routine tasks or conversations with co-workers whom you know and regularly speak with, then email is the best way to gets things done without taking up too much of anyone’s time. If you need to discuss and decide on something with your co-workers – fix a time and get everyone’s opinions over group chat. Decision is taken, pronto! 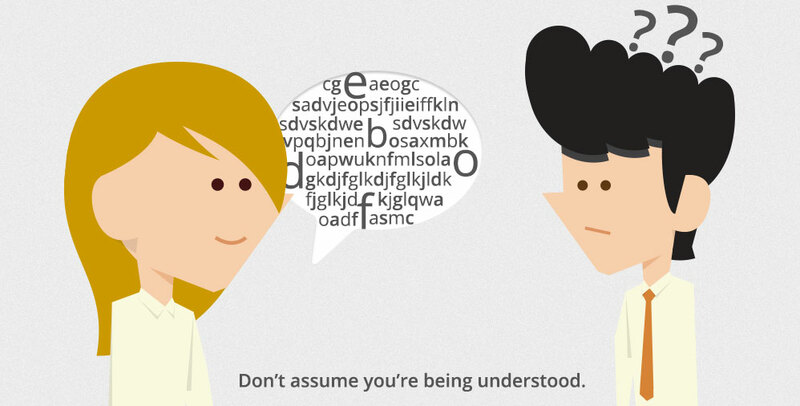 Don’t assume you’re being understood. When you communicate with a remote co-worker, don’t assume they’ve understood you exactly the way you intended. They may have doubts, or worse, may have completely misunderstood, and you might not realize until it’s too late. Of course, it’s more important to be honest and admit what you think or feel, but they see these actions as losing face. Responding in the affirmative feels safer and less threatening, even though that might have serious repercussions. ​The only way to prevent this is to follow up with a quick chat message or phone call that recaps the message or action items. Make it a point to do so, especially for a conversation that has taken place over email. When in doubt, always try to be polite. What may be brief business-like communication in one culture might be perceived as rude by people from another culture. 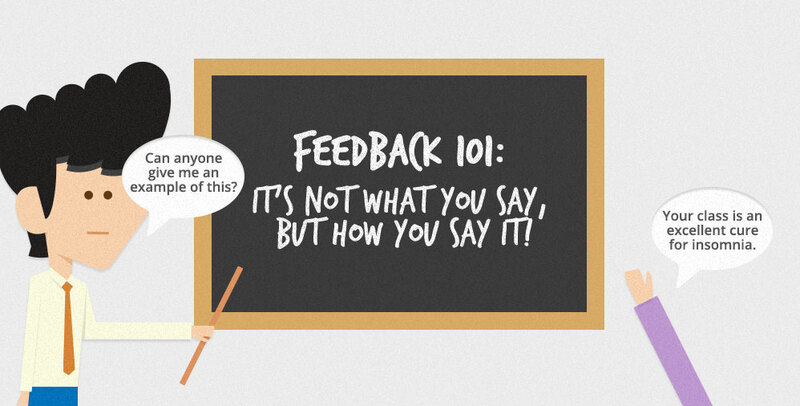 Particularly in situations involving negative feedback, keep the cultural aspect in mind. Remembering the cultural context will help ​you set the right tone and expectations to ensure that feedback is constructive. A good way around the negative feedback problem (especially with a high-context culture) is by being subtle and hinting at it, rather than being blunt. While interacting with a remote co-worker for the first time, always ​err on the side of politeness. You run the risk of being perceived as over-polite, but you can always go back to being business-like once you know better. 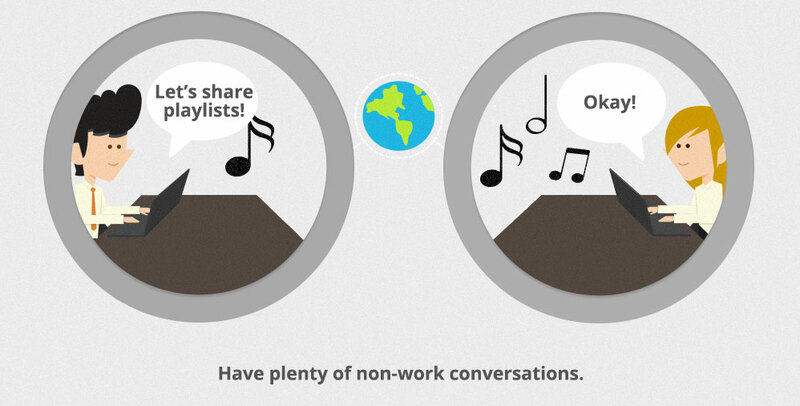 Have plenty of non-work conversations. When all your conversations revolve around work, it’s hard to make things work. Set the context right, by chatting about non-work stuff before you begin ​shop-talk. Continue to do this now and then. Go beyond just talking about the weather. Take an interest in what’s happening in your co-worker’s side of the planet. Learn a few words from their language. Exchange pictures of what your office / desk looks like today. Share your playlist for the day – music is ​one of the best ways to connect across cultures. 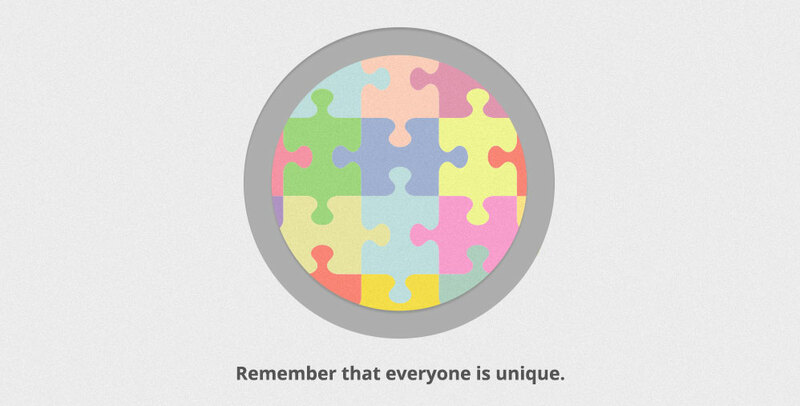 Remember that everyone is unique. I once went to a Chinese restaurant in Singapore. As soon as I entered, the hostess smiled at me and apologetically stated that they did not serve any vegetarian food. When I clarified that I wasn’t a vegetarian, they promptly offered the menu. The meal was fabulous. I thanked them for the service and made it a point to tell them that not all Indians are vegetarians! Cultural stereotypes are like mental roadblocks. You can never truly understand and appreciate a co-worker if you believe that they’re the same as everyone else from their culture. 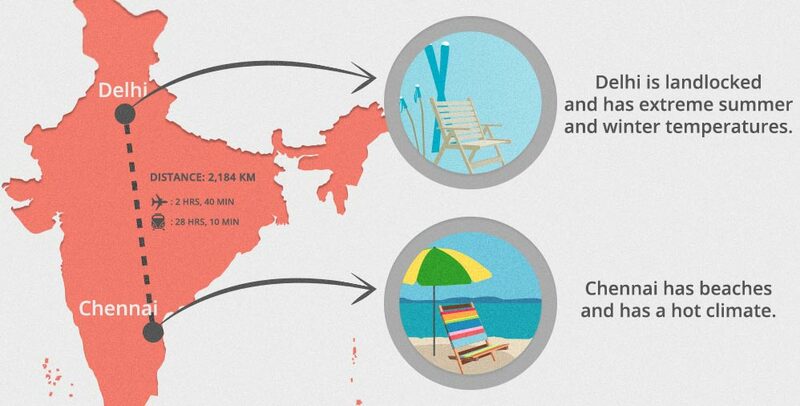 Even within India, there exist striking cultural differences between the north and the south. These cultural differences often lead to stereotypical beliefs. For example, North Indians (like me) are perceived as being emotionally expressive extroverts. On the other hand, South Indians are perceived as being comparatively quieter introverts. However, thanks to countless interactions with so many colleagues from the south, I know better than to label them blindly as introverts. As with any culture, there exists a mix of people – while some of them are in fact, quiet and reserved, there are many others who are quite outgoing and social. The tendency to perceive people from a different culture as similar (the out-group homogeneity effect) can be disastrous while trying to communicate and work with people across cultures. It’s important to remember that each of us is unique, irrespective of our cultural backgrounds. Make an effort to get to know your colleagues. Don’t assume they’re all alike. Find out what makes each one of them different, and it’ll be interesting to work with them. At the end of the day, work is not about where you’re from but what you can learn and do together. And that’s what makes for a great workplace culture. Great article, Meera! Stumbled on it by chance while researching cross-cultural communication issues. Well written and some simple, yet valuable points! Thank you, Ian. Yes, different communication styles across cultures do result in this kind of a communication gap. I recommend a lot of FaceTime to get over this hurdle! This was a great article! I work for an international company with much of our engineering expertise in India. We have been experiencing an issue with many engineers who often will not respond to a question until it has been repeated a few times…just plain dead air. Sometimes we think we have lost the connection. On a conference call with attendees from around the globe, it makes it hard to keep ideas flowing and often results in the anger on the part of the other attendees. Perhaps this is a difference in the cultural concept of “saving face”. You thoughts make so much sense. It’s funny that you mention the head bobble. I’ve found myself joking with my Indian colleagues saying that they are in agreement but their head is saying no. We’ve had lots of fun with that. 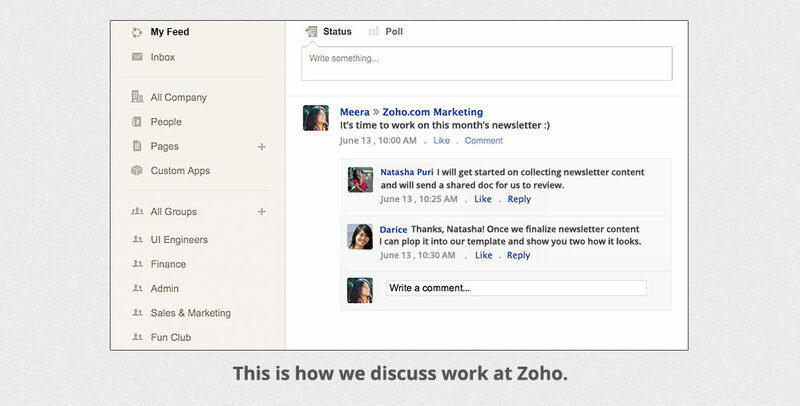 I like the Zoho integrated platform, but I’ve not used it to the level that you’ve outlined. I’ll try adding some more pieces. On another note, I think that more SMBs can and will join into to the global business community. Doing so is very enriching; I’ve found my travels and work with India to be truly life-changing. But there is also the added element of including different perspectives, knowledge, capabilities and resources that can enrich businesses and lives of SMBs. I’m so glad I stumbled on your article (Actually, I was looking for a new CRM solution that syncs with Constant Contact.) An associate is developing a one-hour seminar for me, “Communication When Your Colleagues Are Overseas.” I will tell her to read your blog. This is a very interesting post. I’m am currently reading a book entitled the Medici Effect. It’s based on the idea that innovation arises from “intersections”. One intersection can be the crossing of cultures. The different perspective on the same problem from different “cultural” viewpoints can lead to ideas that may not result without the intersection of cultures. It’s a great read, and in fact it fits very well with Sridhar’s sentiment about the importance of Mastery and Craft.